Rabbitware is a combination of transfer printing and stick sponge or spatterware. The plate measures 9 1/4 inches in diameter and transfer printed in black and painted with enamels in yellow, red, blue, brown and green. This folk art is a highly collected art form. 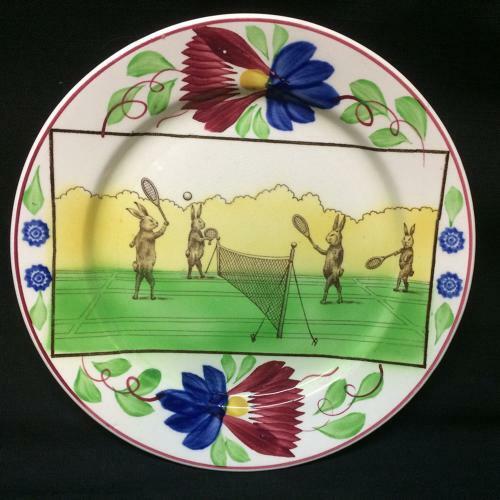 Rabbits portrayed as humans playing tennis. Rare to find in this condition. The plate is in outstanding condition.